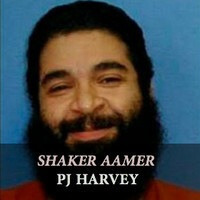 PJ Harvey has released a new song titled "Shaker Aamer". It is her first new song since the award-winning masterpiece Let England Shake which was released to universal critical acclaim in 2011. Musically it follows the footsteps of her previous album, though the structure is quite simple and - might I say - unordinary. However, the importance of the song, recorded for the charity Reprieve, lies not in the musical arrangement but in the meaningful lyrics, grimly describing the horrors of Guantanamo Bay. The song is available on Soundcloud where you can also download it for free.